Directed by Bob Persichetti, Peter Ramsey, Rodney Rothman. With Shameik Moore, Jake Johnson, Hailee Steinfeld, Mahershala Ali. 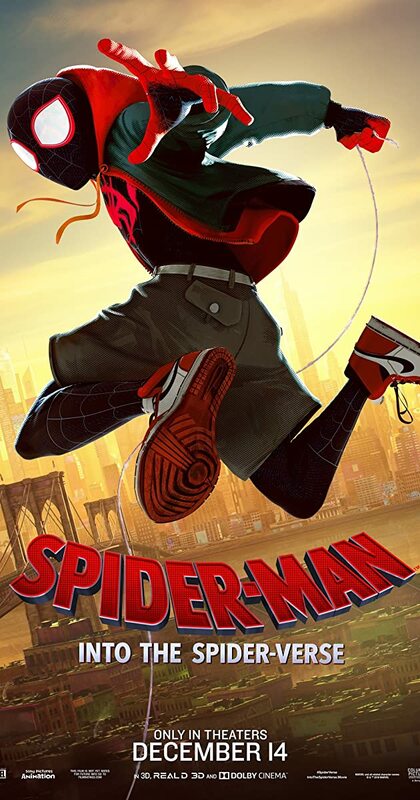 Teen Miles Morales becomes Spider-Man of his reality, crossing his path with five counterparts from other dimensions to stop a threat for all realities.